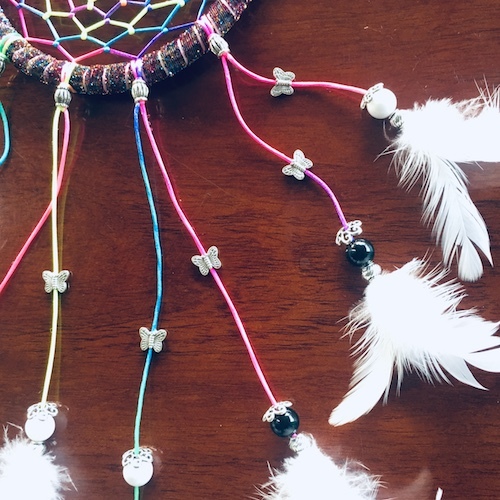 Buy authentic dreamcatchers at a reasonable price from NatureOz, the best online Metaphysical shop in the Philippines. 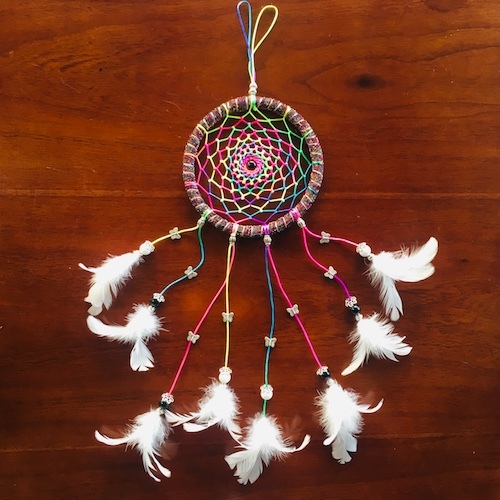 This dreamcatcher is composed of grounding and calming stones, black onyx and howlite, to help you sleep well at night. 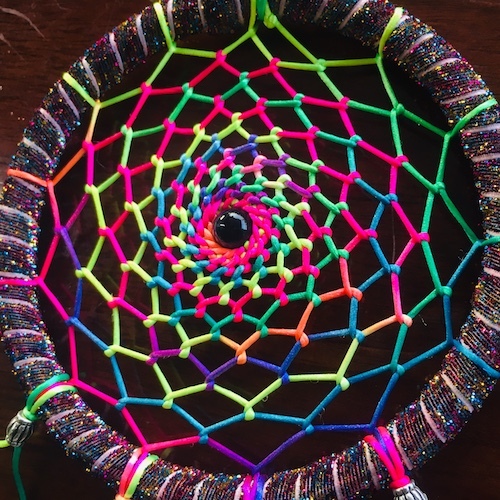 It is adorned with strings in vibrant colors to put you in a good mood when you wake up.